St. Pius X will be hosting our Spring Blood Drive on Thursday, March 28 in the SPX gym. Be a part of giving the gift of life! Adults, please consider volunteering to help support this event. We welcome your donations of time or supplies! Click here to sign-up. Please email us at blooddrive@spx.org with any questions. 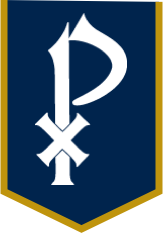 Due to the forecast of inclement weather, and out of an abundance of caution, St. Pius X will be closed on Tuesday, January 29. This includes all school events and activities. A decision for our school schedule for Wednesday will be determined Tuesday, based on the weather. Please stay safe as the winter weather approaches. Winter uniform begins with Open House on Sunday, November 4. Review the student handbook which is online via PSLearning under the Campus Life section, Dean of Students pages for full details about uniforms. Contact Mrs. King in the Roar Store if you have additional questions. Girls' long-sleeved shirt can be purchased in the Roar Store. The Roar Store also has a limited selection of the boys' button-down shirts, and FlynnO'Hara has a full selection of the boys' button-down shirts.